Suffering from an illness, disease, or injury doesn’t only put us in a state of discomfort and pain brought about by the symptoms, but it also can hinder or slow down our ability to perform the various day-to-day tasks and activities in our lives. That is why we do our best to stay physically and mentally healthy so that we avoid getting sick or injured. There are instances, however, in which we really do get sick, or circumstances may cause us to sustain injuries. When this happens, we would want to get better in the fastest time possible. After visiting a doctor or physician, you most likely will be prescribed with medication which will work to get rid of whatever is making your sick, relieve you of the nasty symptoms, or simply just ease your pain. There are other times, though, where you would no longer need to visit a doctor, and would just opt for over-the-counter medicines which will help you recover from a minor illness. Whichever it may be, when you require medication or medical supplies, you would immediately visit a pharmacy to acquire whatever it is you need. Whether you are purchasing for yourself or for a loved one, quality and convenience will always be on top of your mind. You would want the products you purchase and use for the intake to be safe and effective, and of course, you would look for the easiest and most convenient ways possible to handle your medication. Palms Pharmacy is a pharmacy in Lake Worth, West Palm Beach that aims to provide our customers with quality assistance through informative pharmacist consultations, affordable pharmaceutical and medical products, and a wide array of services that will make your healthcare and pharmacy experience easier and more convenient. 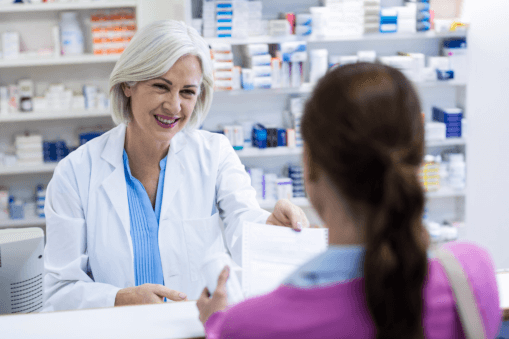 At Palms Pharmacy, we offer services such as auto-refill of prescriptions, easy prescription transfer, and even free delivery—all to provide you with the hassle-free and convenient pharmacy experience you deserve. We also pride ourselves with our exceptional compounding services that are aimed to change the intake form of your medicine, and even create a completely new medication entirely, according to your unique needs and preferences. With our team of friendly, reliable, and knowledgeable pharmacists who are ready to answer your questions, guide you on your healthcare plan, and change the form of your medication just the way you like it, you are sure to get the quality products and exceptional services you need and deserve. We aim to be the affordable pharmacy in West Palm Beach you can trust to be your partner in achieving and maintaining good health and wellness—all while providing convenient services to suit your various needs. If you wish to know more about what our pharmacy has to offer, especially with our compounding services, please don’t hesitate to get in touch with us. Our friendly pharmacists and staff are happy to serve you and your pharmaceutical and medical needs. This entry was posted in Pharmacy and tagged Convenient Service, healthcare plan, Medication, pharmacist consultations. Bookmark the permalink.